This quilt was one of my earlier quilt designs. I wanted to do something with all these rainbow gradations of hand-dyed fabrics I was making, and I set them off with some graphic white lines. 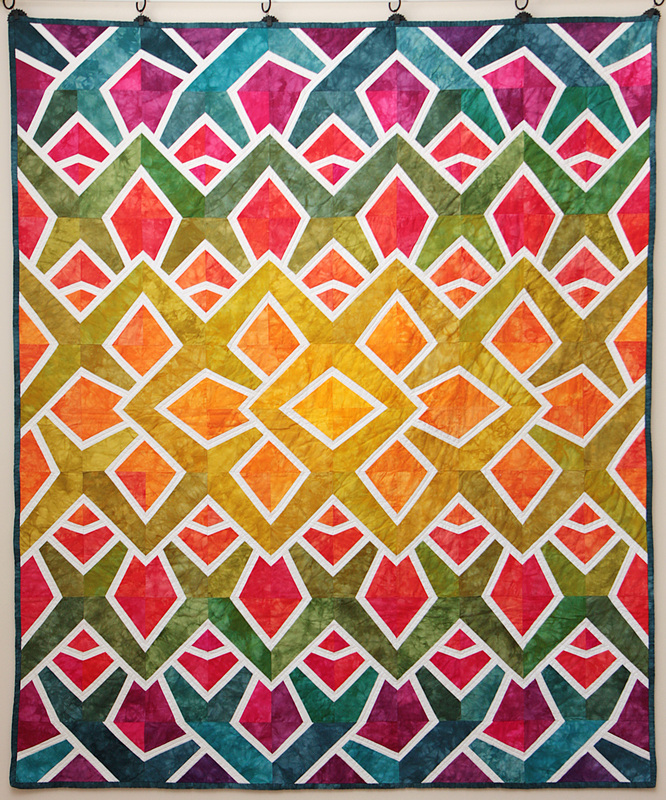 This quilt is foundation paper pieced. I wish I would have made it bigger, but I limited my paper piecing blocks to what would fit on a piece of printer paper, so this is how it turned out. 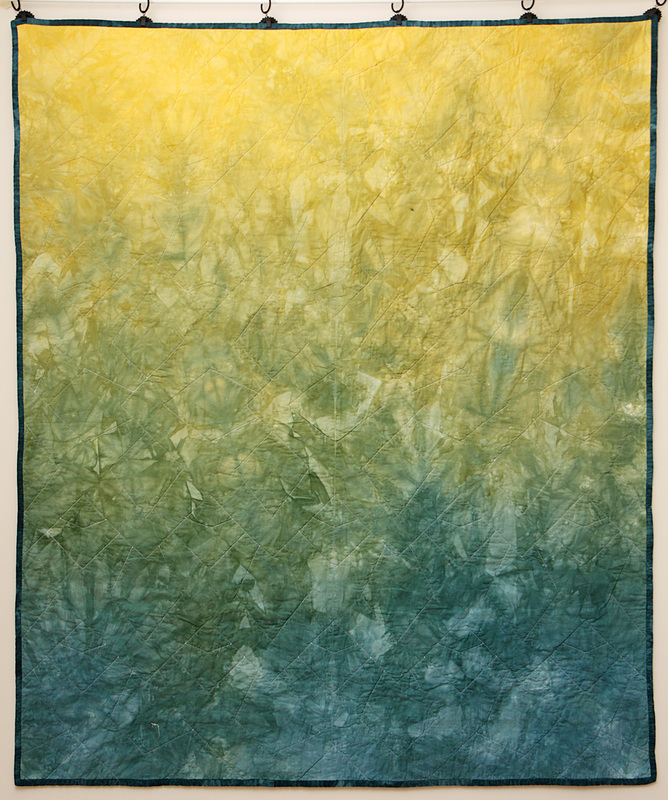 I entered this one into QuiltCon 2013 and was rejected. For the backing, I dyed just one piece of fabric in a yellow to blue gradation. This would be tricky to do for a larger quilt, but worked well for this smaller one!